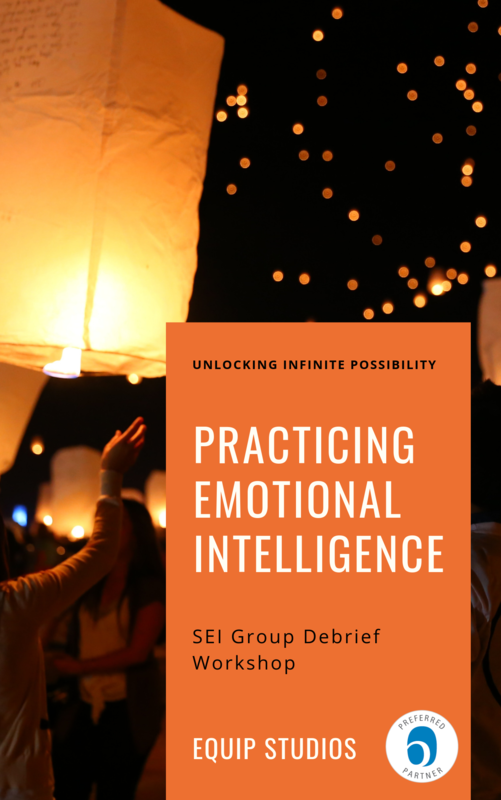 As a Six Seconds Emotional Intelligence assessor have you ever found yourself in a position where your clients are looking to you to help them develop their EQ? You know training can help, even coaching, but how can you possibly meet everyone's unique needs all at once? Introducing THE PRACTICE™, a turn-key, four step process designed specifically with YOU in mind. Sign Up for Six Seconds’ free webinar today and SEE what a difference THE PRACTICE makes! EQuip Studios offers a group debrief workshop. The workshop is designed to provide a highly experiential and interactive experience that introduces emotional intelligence. The Certified SEI Assessor will lead the participants through a variety of activities using the Engage, Activate, Reflect learning strategy. Explore their SEI Assessment using small group, large group, and independent activities. You can learn more about Practicing Emotional Intelligence by contacting EQuip Studios directly at Info@EQuipStudios.net.